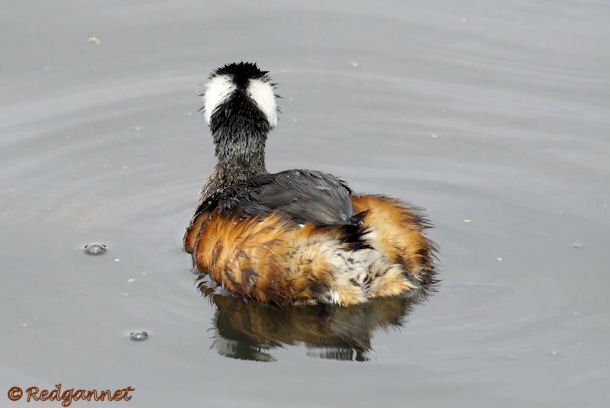 It is quite possible that I might have overlooked the White-tufted Grebe on my first sighting if I had not been primed to look for it. In silhouette it is very similar to the more familiar Eared Grebe. 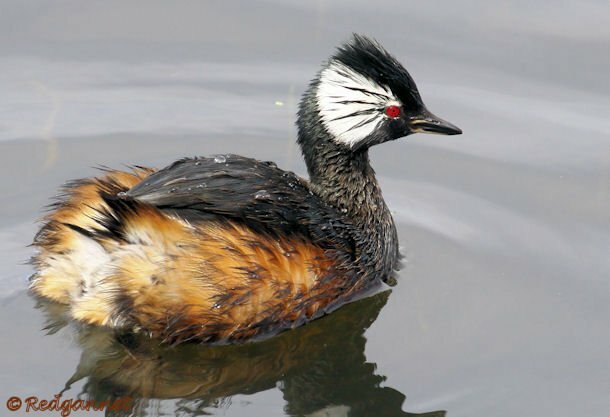 It rides high in the water and sports fluffy undertail coverts as well as the obvious “ear tufts”, but the Eared Grebe has golden yellow (not white) tufts and a slightly longer, thinner bill to distinguish between them. 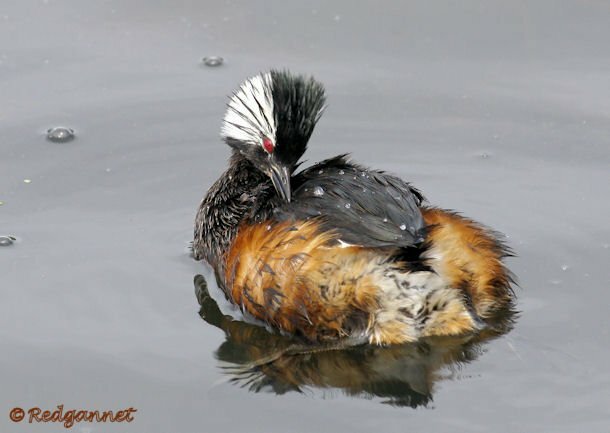 It is unlikely that they will need to be separated however as they already have a huge geographical divide The White-tufted Grebe is a bird of western and southern South America, while the Eared Grebe is unlikely to be seen beyond the isthmus. 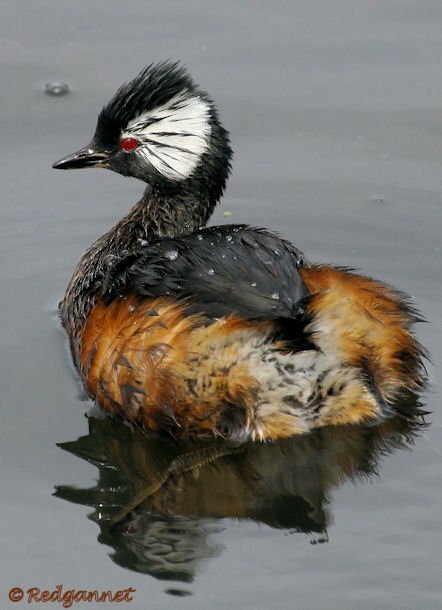 Despite their similarities, the White-tufted Grebe belongs to the Rollandia genus (Rollandia Rolland), though some older field guides acknowledged the likeness by using Podiceps. Usually I see these birds in ones and twos, but a trip to Argentina in the southern spring brought much greater numbers. Twenty or thirty at a time might be seen at this time of year on the open water at Costanera Sur, Buenos Aires’s most prolific hotspot. 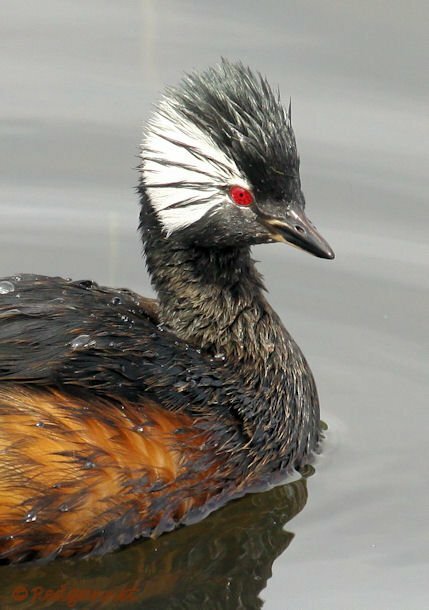 What a magnificent grebe! Thanks for your gorgeous photos. I would like to see one some day. Who wants to fly me to Argentina? Where Are You Birding This Third Weekend of November 2015?